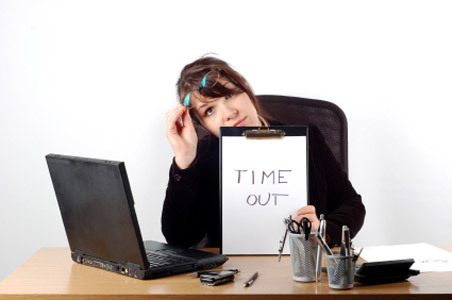 Job burnout is often linked to a conflict between an employee's values and job requirements. A lack of appreciation and reward for your hard work and effort can lead to feelings of resentment for the company you work for. You may start to lose motivation to do a good job and feel no sense of accomplishment. When a job is always highly demanding, you may try to push yourself too hard, balancing numerous roles and multitasking at the expense of your own well-being. You may become overwhelmed with feelings of anxiety and the need to push yourself even further. Over time, this eternal race can lead to burnout. You may worry about your lack of necessary knowledge or inner resources to do your job competently. You may also be stressed out by the uncertainty over what degree of authority you have. Examples are working with an office bully, being undermined by colleagues or having an unreasonable boss.